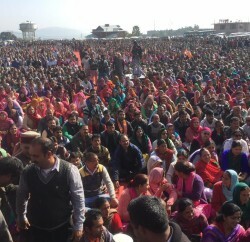 In the two-day meeting of the 225-member state executive at Bipasha Sadan Mandi, BJP passed two resolutions, one in support of the achievements of the present government and another against the Congress-led UPA-II government, and prepared its “road map” for party workers and leaders to make its “mission repeat” a success in the state Assembly elections. 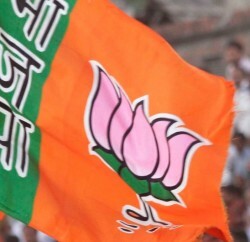 In the meeting, state BJP tried to project a united face ahead of the poll and announced its “road map” for party workers, leaders and its cadre of the Sangh Parivar. 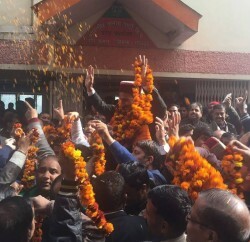 The meeting was attended by party organisational secretary Ram Lal, state party in charge Kalraj Mishra, co-incharge Shyam Lal Jaju, Chief Minister PK Dhumal, state party president Satpal Satti, BJYM chief Anurag Thakur, other ministers and MLAs. However, National vice-president and senior BJP leader from Kangra Shanta Kumar and general secretary JP Nadda remained conspicuous by their absence in the meeting.